Turn cheap mini drawers from Dollar Tree into the perfect industrial farmhouse storage. 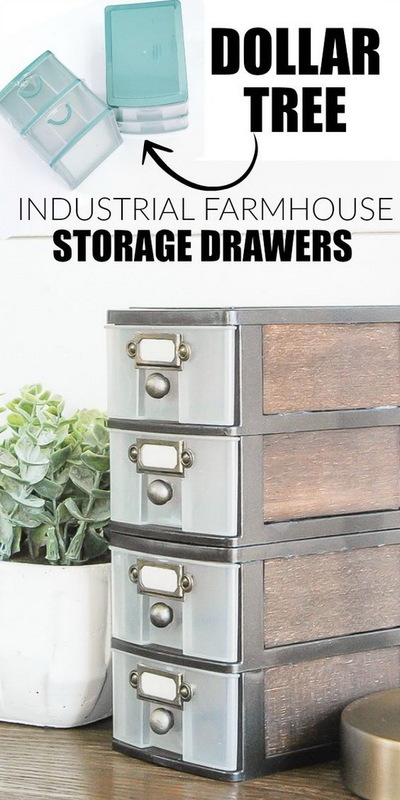 They are not only sure to add a bit of industrial farmhouse style to your home, but stylish enough to organize office supplies anf other items at home. Tutorial: Little House of Four. Farmhouse decoration style also calls as cottage, rural-style decor or vintage style decor. It draws much of its design from nature, showcasing the beauty of earth’s bounty. It makes your home more original. Farmhouse style with rustic accents throughout your home works with any style. It can be very cozy and rustic, elegant and shabby-chic and adds cozy warmth to your whole home. Farmhouse style uses a lot of wood, natural fabrics and brick, and it has a cozy, homey feeling. Reclaimed woods and restored pieces are commonly used to create this unique decorating charm. If you are tired of a home that looks so luxurious or lacks personality and warmth, the cozy appeal of farmhouse decorating is something you may want to consider, whether you live in the country or the city. There is nothing quite as warm and welcoming as an old farmhouse. Farmhouse decoration style is easy and not very expensive to achieve. Accessories and accents for the farmhouse decorating don’t have to cost a fortune. There are many tings you can do on your own or just repurpose or recycle the old items around home to get this rustic and relaxing feel you want for your farmhouse. All it takes is a few creative ideas. Here we have tons of DIY projects and inspirations for your farmhouse decorating. Take time to read over it and start to give your home decor a new and natural warm look with these creative ideas. A circular mirror made with wood slice. An easy and fun weekend DIY project! It is so great and stylish to hang on top of the vanity in your bathroom. Tutorial: Angel Amarie Made. Have a TON of reclaimed wood piled up in the back yard or burlaps over the sewing room? Start to make this easy and pretty “ruffle” effect curtain from old wood and dropcloth. These curtains are soft, casual and inexpensive, rich wood is the finishing touch. Tutorial: Hunt and Host. 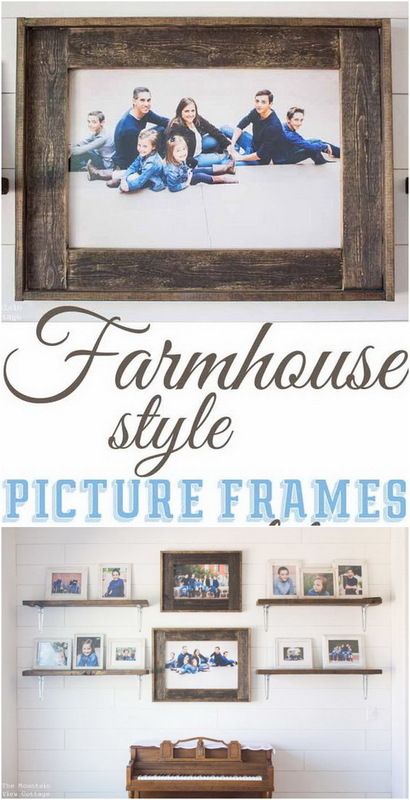 These wood picture frames are great to display your treasured family photos, cherished memories with the warm farmhouse style. Look graceful whether on a bookshelf, or hung on a wall, or perhaps even as part of a stylish gallery wall. Tutorial: The Mountain View Cottage. 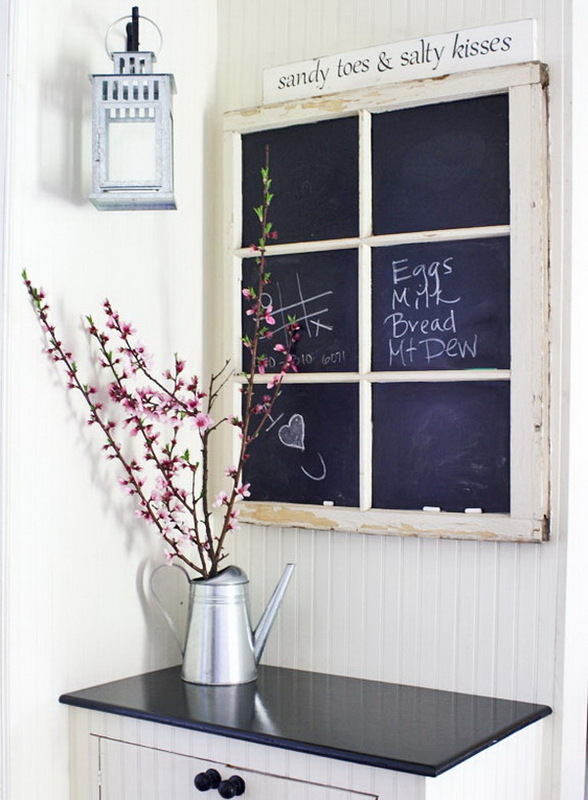 Transfer the old windows into a stylish chalkboard window in just some simple steps. It is sure to add some charm into your home. 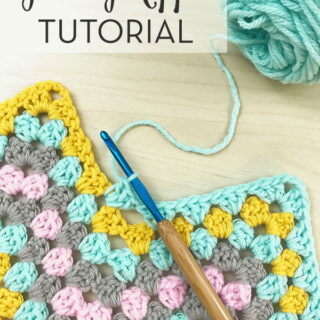 Learn how to make it with this step by step tutorial via The Shabby Creek Cottage. Create a canvas farmhouse style sign with s painted piece of wood. 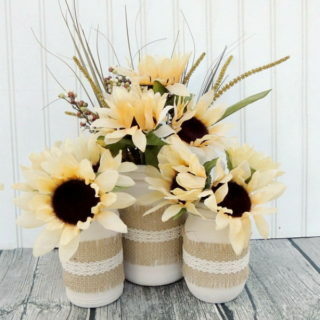 It was really pretty simple to make and really adds the perfect farmhouse finishing touch to your home decoration. Tutorial: unOriginal Mom. Make farmhouse style hanging wire baskets on reclaimed wood. Easy and cheap DIY country farmhouse project. It is great as the wall shelf to store small home items or or diaplay your indoor plants. Tutorial: Thrifty and Chic. Create your own custom rustic side table from the sliced portion of a tree trunk and hairpin legs. Love that mid-century modern feel of these hairpin legs! Tutorial: 17 Apart. Perfectly distressed wall shelves for your farmhouse! This is sure to add just the right touch of rustic warm and charm to any home decor! Tutorial: Lolly Jane. This wood box is great to display some pretty seasonal flowers or other decorative items. It fits in with any farmhouse or cottage vibe. DIY tutorial: Love Grows Wild. 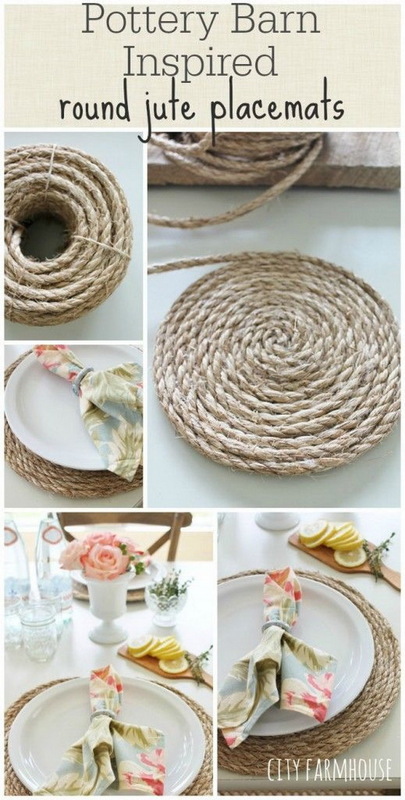 Make these really cute round jute place mats for your table settings! All you need for this project is 3/8″ jute and a hot glue gun. Tutorial: City Farmhouse. This DIY media cabinet is a great way to infuse your house with fixer upper or farmhouse style! It was really pretty simple to make with a bit of woodworking skills and really adds the perfect farmhouse finishing touch to your home. Tutorial: Shades of Blue Interiors. Be more creative and recycle the old items around your home for home decoration. These old ceiling fan blades are just perfect for your farmhouse mantel decoration with a bit of creative thinking. Tutorial: Sadie Season Goods. 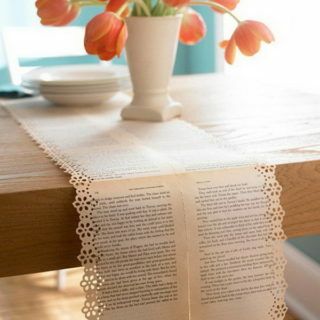 Make these burlap table runners for your table settings! It is easy, quick to make and can be made in under one hour. Tutorial: Knick of Time. This wooden planter box is a cheap, easy to make. 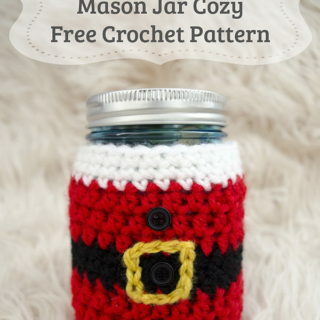 It is perfect for a kitchen window sill or countertop. Look so simple and elegant! Tutorial: Making It in the Mountains. Make your own large DIY hanging schoolhouse style chalkboard! It is perfect for modern farmhouse decor! Get the tutorial via The Inspired Hive. 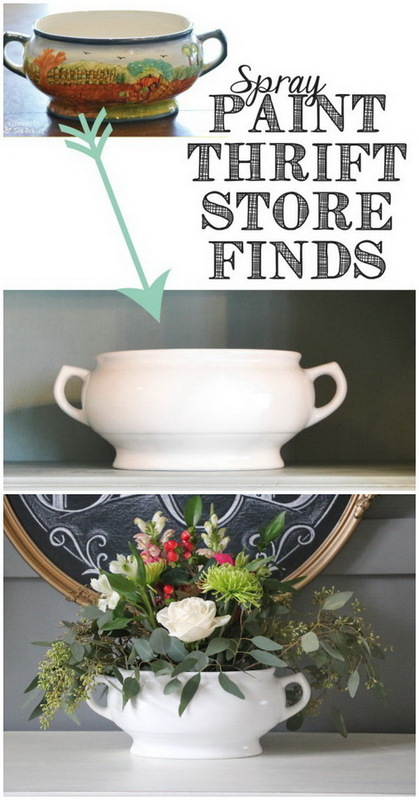 Transfer the old pot into this elegant vase for floral arrangements. I love their simplicity and how they brighten up any space. Tutorial: Sincerely Sarad. Create a set of mason jar organizer for some unique bathroom storage. Love the simple and shabby chic look! Tutorial: Mason Jar Crafts Love. Another version DIY wood sign for your farmhouse decor! 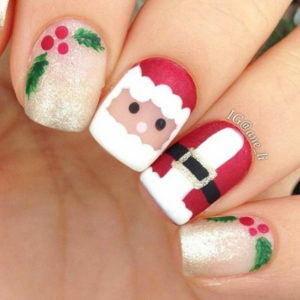 Get the tutorial via Angel Amarie Made. Shelving is a must for any home. It is not only great for storage, but also add a bit to your décor. These floating wood shelves are absolutely gorgeous and they’re really easy to create with a bit of woodworking skills. Tutorial: DIY Pete. This beautiful floating shelf is so very easy to make and would be gorgeous for the living room and home office. The reclaimed wood and the industrial brackets add a wonderful farmhouse look to your decor! Tutorial: Fox Hollow Cottage. Everything is very open with a clear clarification of the issues. It was really informative. Your site is very useful. Thanks for sharing!